New sponsorship and logos for this modular classic top-drawer, now in a new combination of panels and more fitted pattern. Castoro 5mm combines a one-piece with a separate 5mm hood and jacket very elastic 3.5mm. The three items can be purchased separately. It is a modular especially comfortable when used, complete and easy to place because of their micromanguitos plain, simple, effective and very resistant neoprene. Its durability is guaranteed and proven even dive centers that use it as school and rental suit for optimal results. 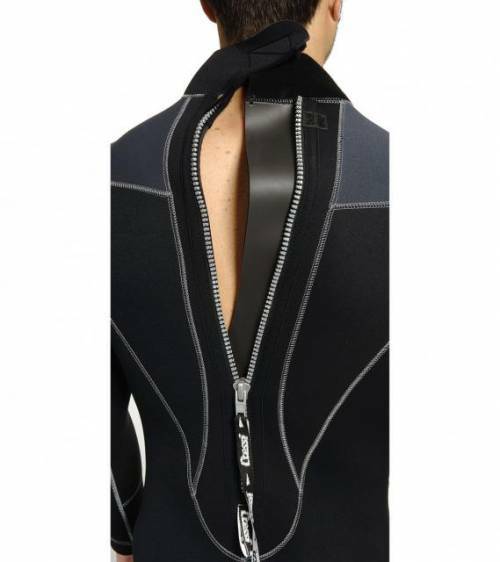 The back zipper is YKK® Acquastop® sealing system with smooth neoprene flap inside to minimize water infiltration. Both the hood and the lining have nylon-piece, especially elastic on both sides to optimize the elasticity of neoprene. 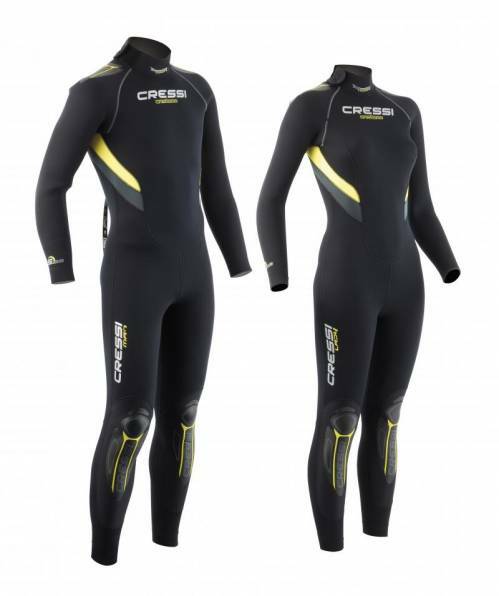 Use the same quality neoprene other collection suits Cressi despite being a suit cost very content. Anatomic Shape neck design, with preformed to 120 in the neck area respecting neck angulation with respect to the chest.